TIQUE colors and textures are made from the finest raw materials in the industry. All TIQUE finishes are 100% acrylic based which is both decorative and weather resistant. TIQUE is the superior choice for style, durability, low maintenance, and lasting color. 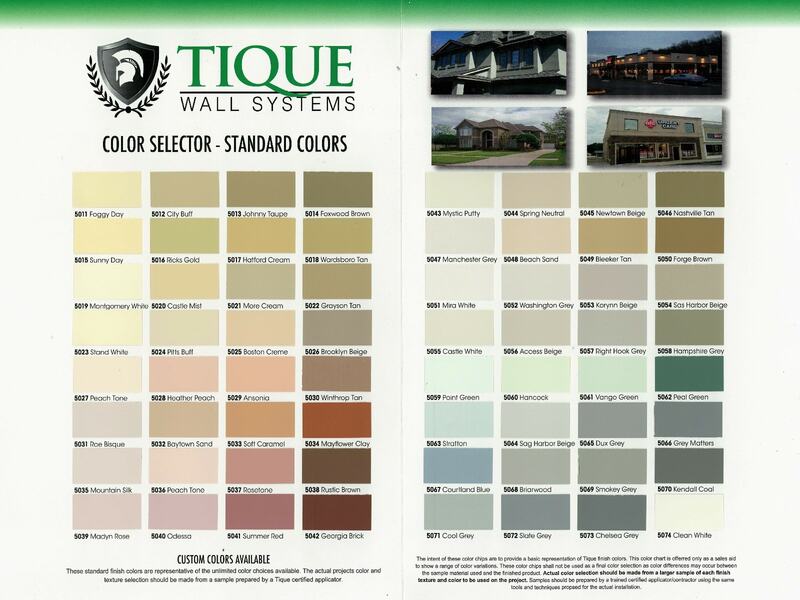 TIQUE offers 64 premium colors covering a broad range on the color spectrum. We can also formulate nearly unlimited custom colors to meet your creative needs! TIQUE colors are available in any of our five finish textures. Our colors come in tint cups that are added to your 5 gallon bucket of finish. Simply add one tint cup per 5 gallon bucket of TIQUE acrylic finish and mix with a drill mixer until the color is thoroughly and uniformly mixed into the finish. Please contact us for a complete and detailed list of options of colors and textures. 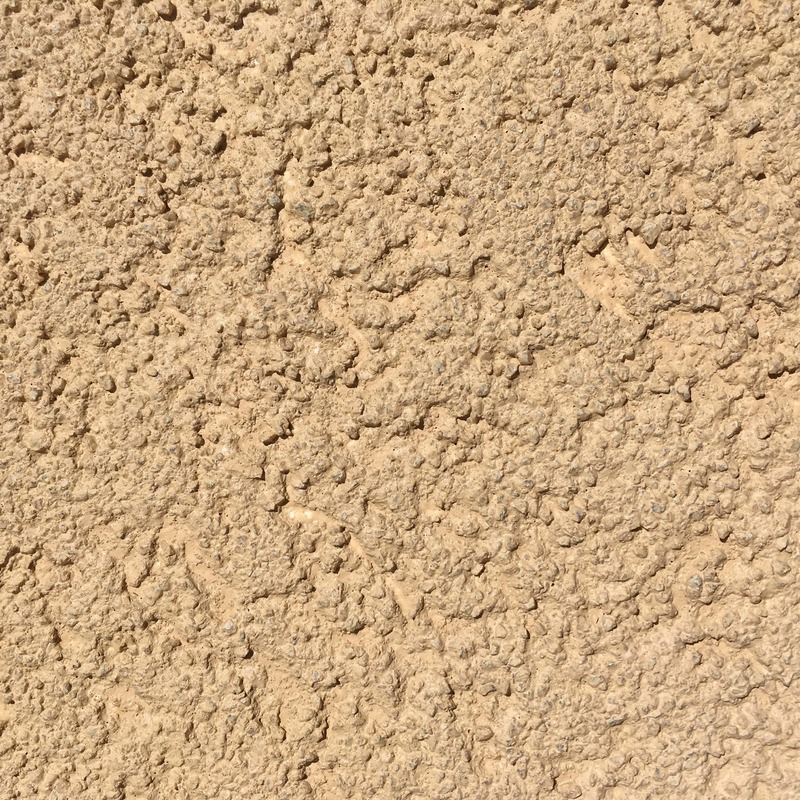 TIQUE Basecoat Adhesive is used in the CI/ EIFS application between the EPS Insulation Foam and Finish Coat and is reinforced by embedding Fiberglass Mesh to add strength. Basecoat is also used as an adhesive to adhere EPS foam boards to the substrate in a water managed system, also known as an adhesively attached or “stuck system.” This product is manufactured using high-performance, polymer-modified cement adhesive and applied with a notched trowel to form a vertical drain plane from which moisture can escape. 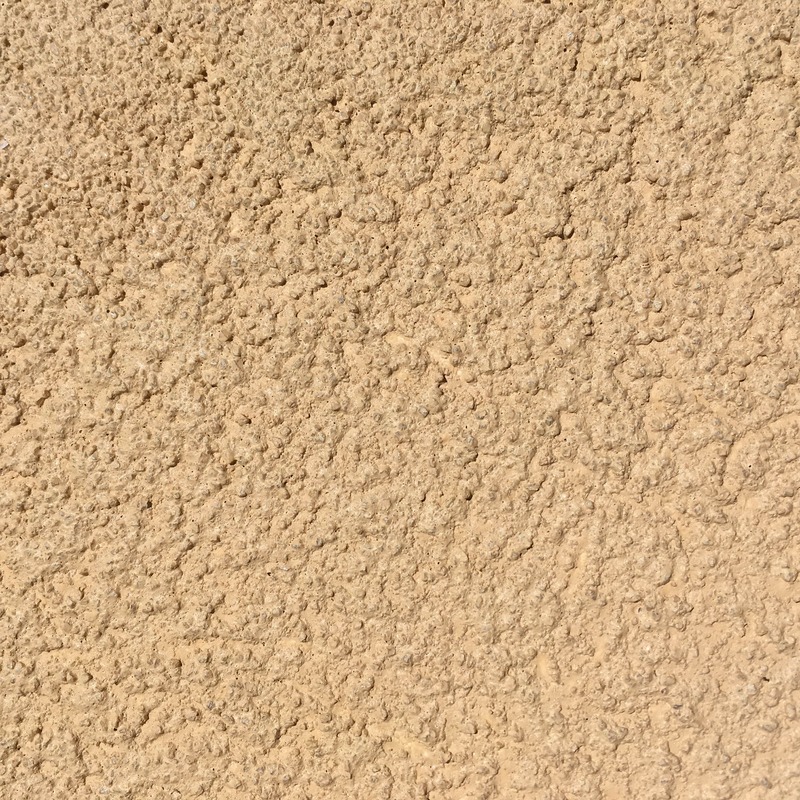 TIQUE Basecoat Adhesive may be used either on the interior or the exterior. It can be used over a variety of substrates such as; Concrete, Masonry, DensGlass, Plywood, OSB, Gypsum board as well as insulated concrete forms amongst others. 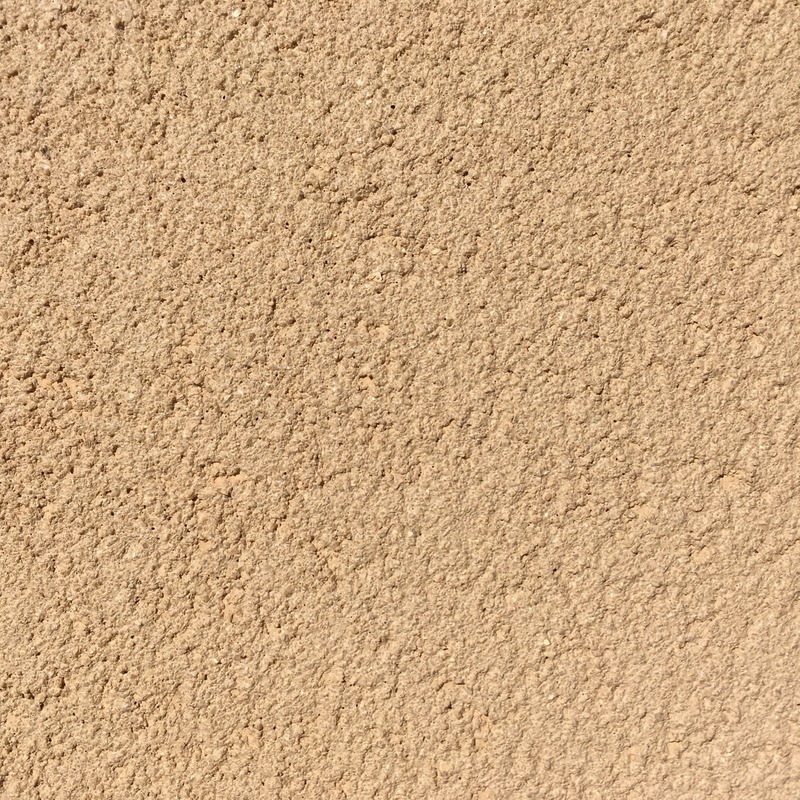 TIQUE Basecoat Adhesive is made with the finest high-grade aggregates, cements, and polymers. 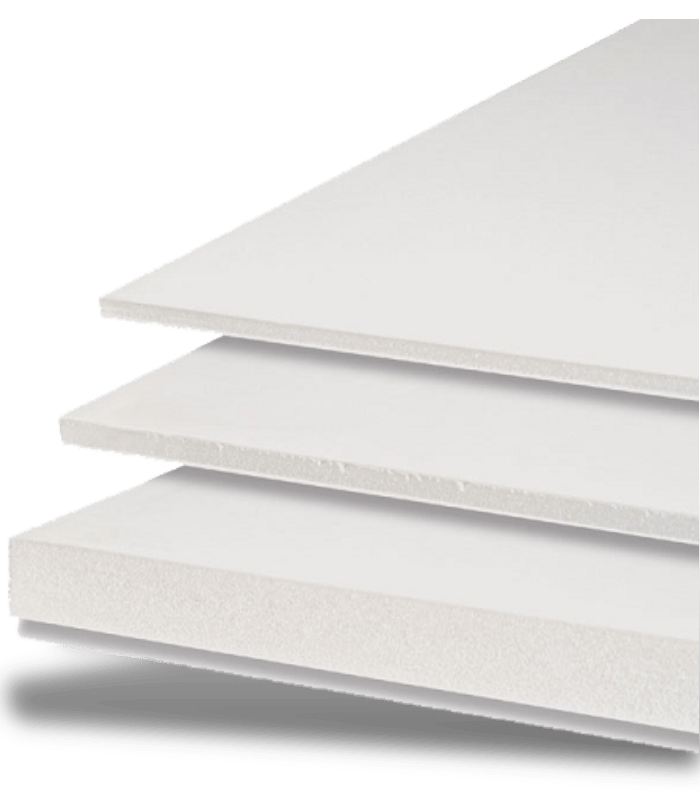 Expanded polystyrene (EPS), also referred to as Foam Board and is used primarily in CI or EIFS applications. 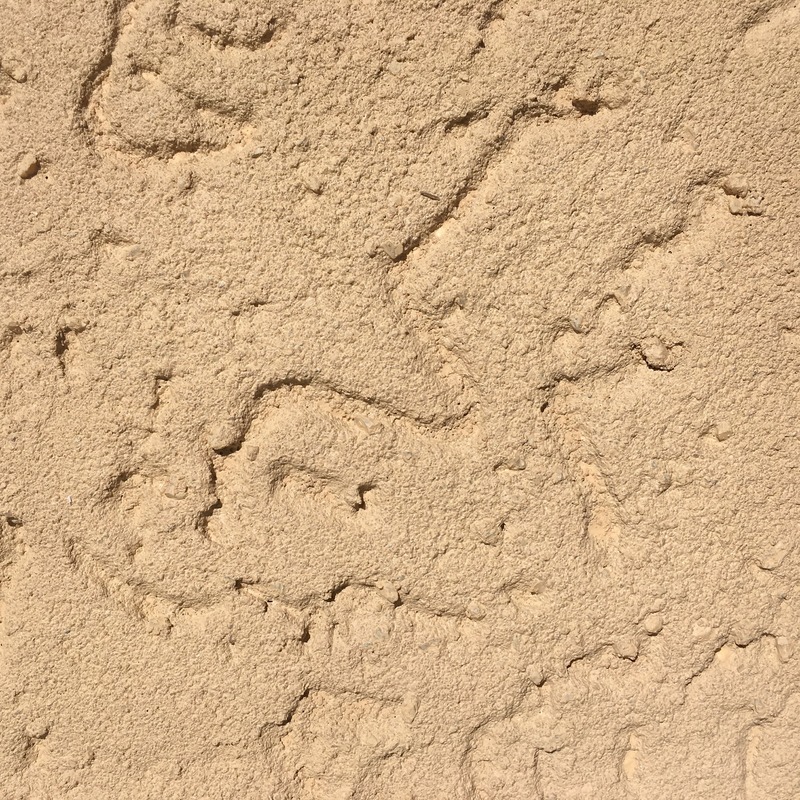 EPS is aged to allow for greater dimensional stability and minimal moisture content. In addition to aesthetic appeal, Foam Board provides numerous structural benefits by creating weather tight air seals, easily filling voids, and creating barriers to improve energy efficiency. Some of the major benefits of EPS are long-term dimensional stability, energy efficient insulation and being a durable, low maintenance option. The standard sizes are 24″ x 48″ with thickness options varying between ½” and 4″, and is fabricated from virgin EPS beads that contain no regrind or recycled content. In addition, intricate designs and Foam Shapes can be created out of blocks of EPS. Specialized software is used to create custom architectural shapes that enhance exterior appeal, such as columns, keystones, quoins, arches, and a wide variety of fascia trim and moldings. 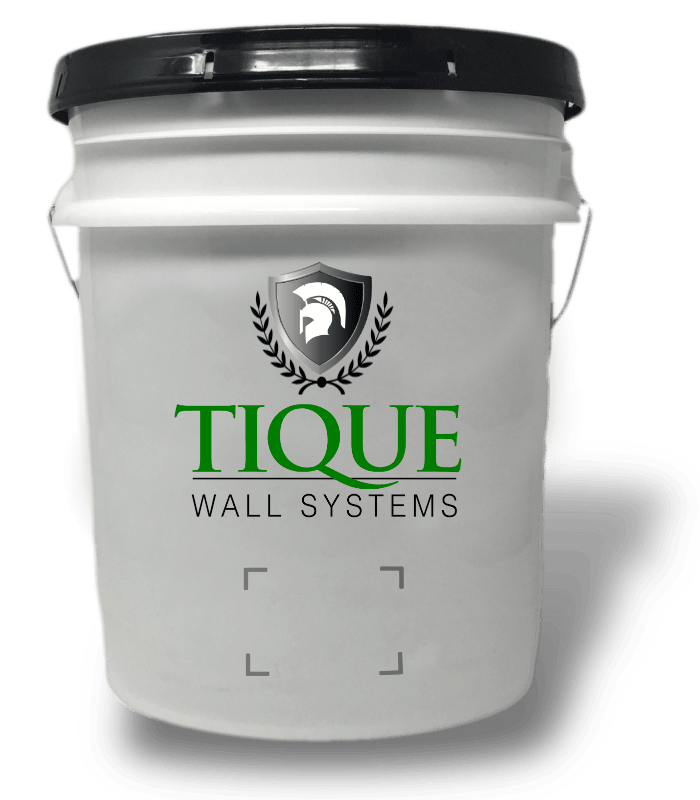 For more information on our EPS products and capabilities in EIFS applications, call your TIQUE representative today. 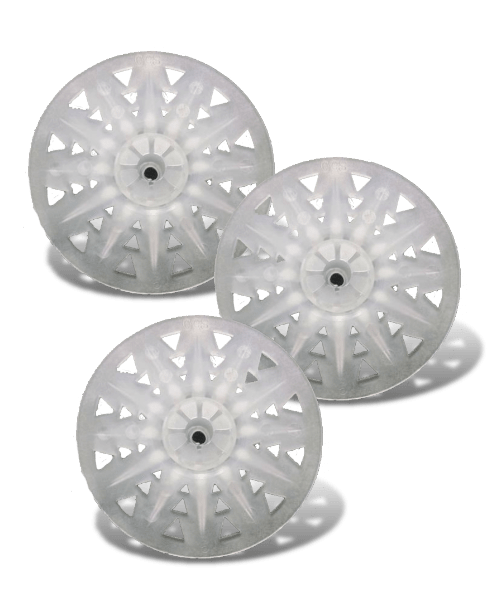 Mechanical Fasteners are comprised of a pre-assembled galvanized screw that is coupled with a high density, impact resistant two inch plastic stop washer. The large diameter of the washer provides strong resistance to positive and negative wind loads. The recessed channel with the plastic closures over the top prevent moisture from passing through, bleeding of basecoat adhesive, and prevents thermal bridging, as well as covering the screw head so that there is flush surface. The recessed area of the fastener makes it so very little basecoat adhesive is needed to fill the indentation in the EPS board. 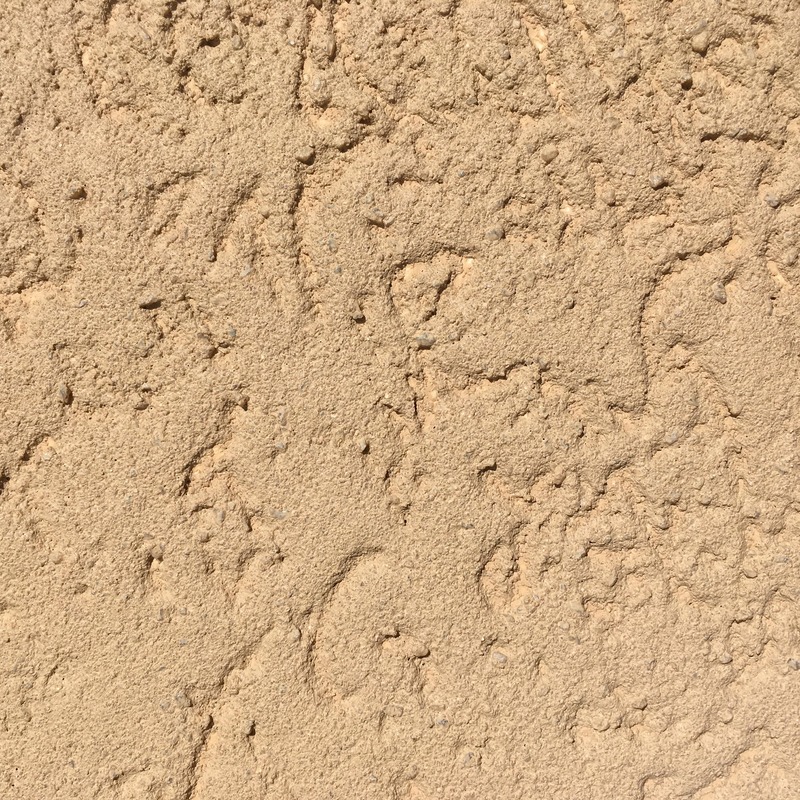 On a mechanically fastened system, stucco wrap and EPS foam board is attached to the substrate using mechanical fasteners (using one fastener per square foot). Fiberglass mesh is then embedded into basecoat adhesive. Lastly, a finish coat is applied. 2.12 oz. Fiberglass Mesh is perfect for trims and detail work. Available in self-adhesive and standard. 4.5 oz. Standard Fiberlass Mesh is mostly used for reinforcing cementitious materials. 4.5 oz. Supersoft Mesh is the softest mesh, perfect for corners. 4.5 oz. Self- Adhesive Mesh is great for foam shapes, carpet backing, mosaic tile, back splashes and more. 4.7 oz. Standard mesh is very rigid and perfect for flooring, outdoor kitchens and large flat walls. 10 oz., 12 oz., and 15 oz. 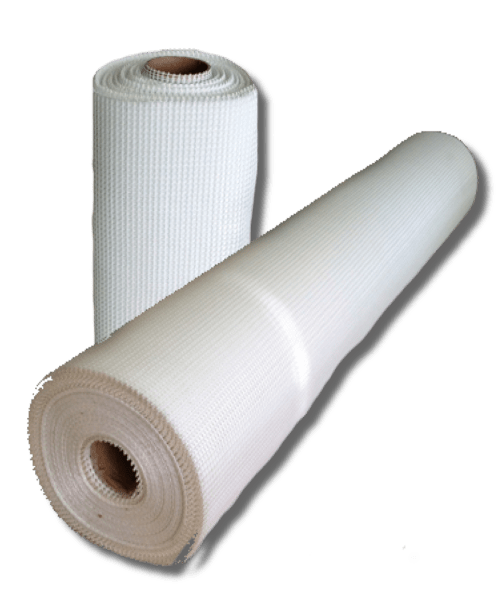 High Impact Fiberglass Meshes are available in 38″ x 75′ rolls and used in cementitious walls around garage doors and openings where impact is likely. TIQUE AquaGuard is an elastomeric secondary, all-weather moisture and air barrier. AquaGuard is used for exterior walls where an adhesively attached system is desired and areas that have high wind-load requirements. TIQUE AquaGuard can be applied over a wide variety of substrates to provide secondary water and air barrier. It can be troweled, painted or rolled on. TIQUE AquaGuard serves as a foundation for adhesive applications of EPS insulation boards. © 2019 Tique Wall/ Greenmaker Ind. All Rights Reserved.